The original vinyl LP recorded by Harry Robertson in 1971. This LP was recorded in Sydney on the 18th – 19th January 1971 by T. Albert and Sons under their “Music for Pleasure” Label. 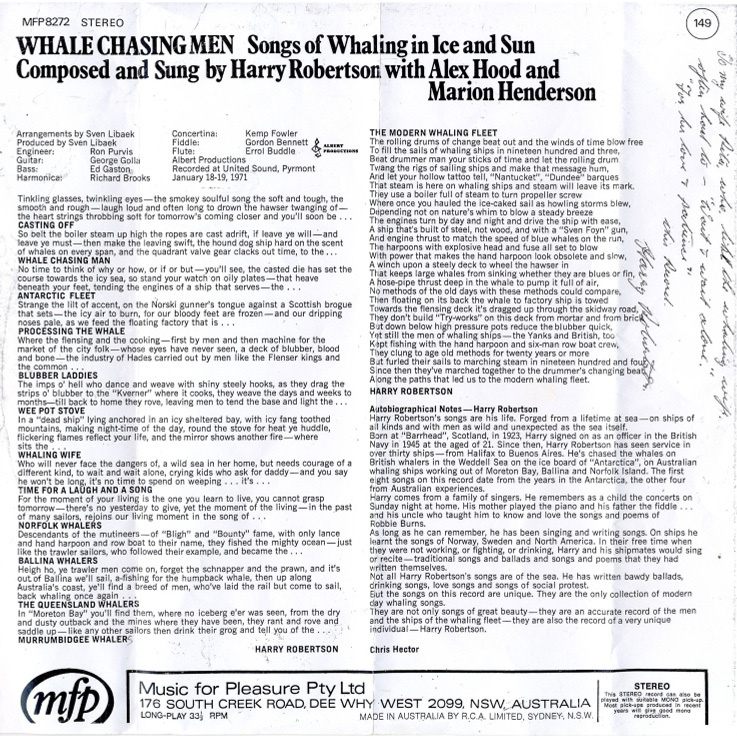 Songs composed and sung by Harry Roberston: with featured tracks performed individually by Marian Henderson and Alex Hood. 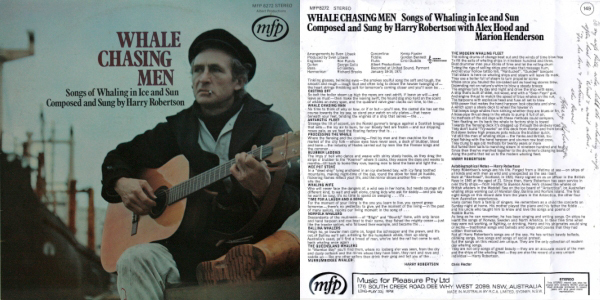 A book, Whaling Songs of Harry Robertson, was issued at the same time by Albert’s Music. Click on image of album to see enlarged readable version of text. Harry's dedication to his wife Rita is hand-written on the top right hand of back cover.